Since version 58, Chrome requires SSL certificates to use SAN (Subject Alternative Name) instead of the popular Common Name (CN), thus CN support has been removed. In order to create your cert, first run createRootCA.sh which we created first. 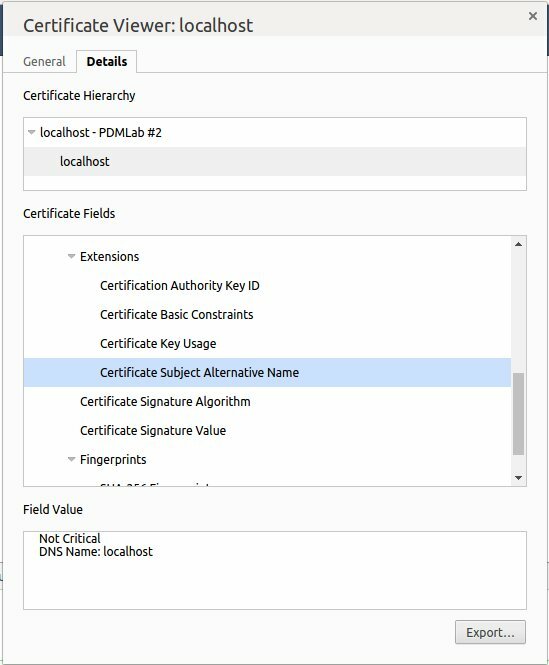 Next, run createselfsignedcertificate.sh to create the self signed cert using localhost as the SAN and CN. Watch for this line Version: 3 (0x2) as well as X509v3 Subject Alternative Name: (and below).